Paneling is popular in this season. Materials go diverse, and structures and silhouettes are also important. 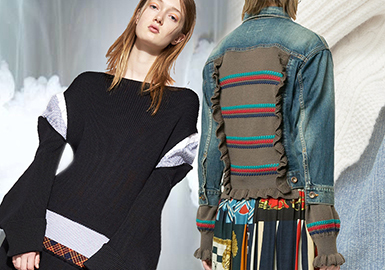 Fringes never fade in the fashion world. 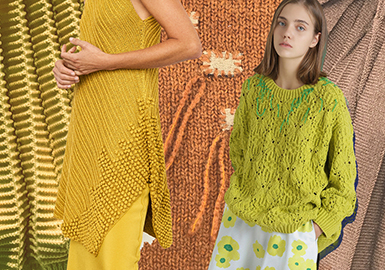 Knitwear of Resort 2020 utilizes modern and unique design to update folkloric looks. 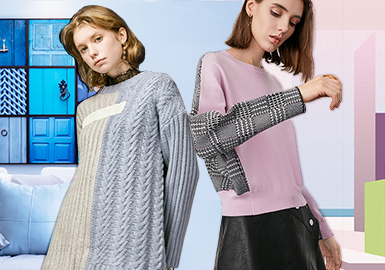 Panels of different materials and shapes are added to sweatshirts or sweaters, personifying simple items. Delicate techniques show vibrancy and fashion. 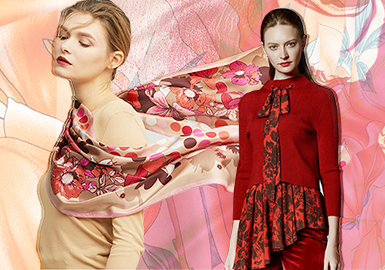 Silky scarves of this season emphasize a French style and a mix-and-match aesthetic. 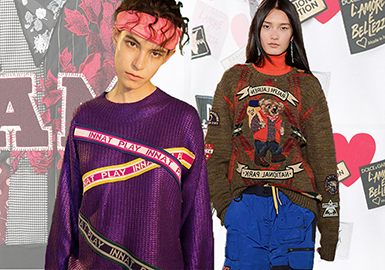 Brands like Balenciaga, MSGM, Versace and Burberry combine cozy knitwear with modern decoration. 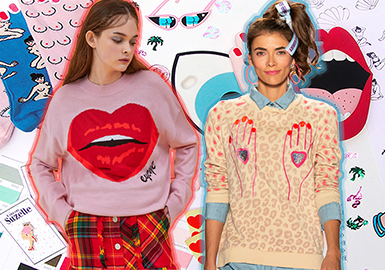 In this season, body parts like lips and teeth, hand and heart, as well as silhouettes are attractive, combining the entertainment and creation of patterns to the full. Fashionistas use considered decorations to personify garments. Straps feel casual and vivid, bringing vibrancy to knitwear. Herringbone is modern and creates visual interest, often used on simple apparel. Contrast elements emphasize the charm of piecing. 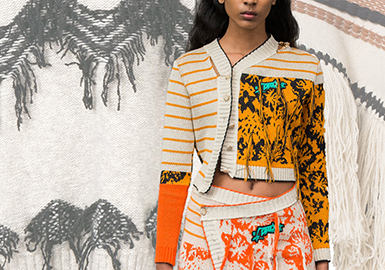 Front and back splicing, mixed stripes and reconstructed color blocking make a strong statement on knitwear. 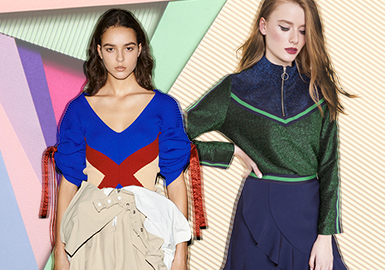 Collar and neck are important for designers to unleash their creativity. They are more practical and decorative in this season. 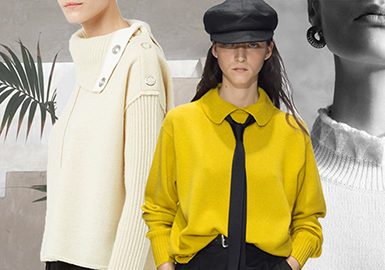 In this season, knitwear prefers mixed materials. Trans-seasonal denim items are added with heavy knitted pieces to bring warmth. 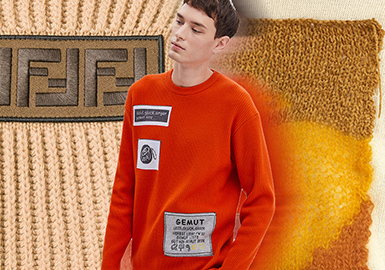 Knitwear also feels more stylish because of denim panels.